David O'Brien, a teacher at St Ultan's Special National School, Navan, Co Meath, knows only too well the impact of roads being closed and traffic diversions. Growing up in Co Armagh, he went to primary school in Co Louth, where his mother was a teacher. Diversions and delays were a part of life. 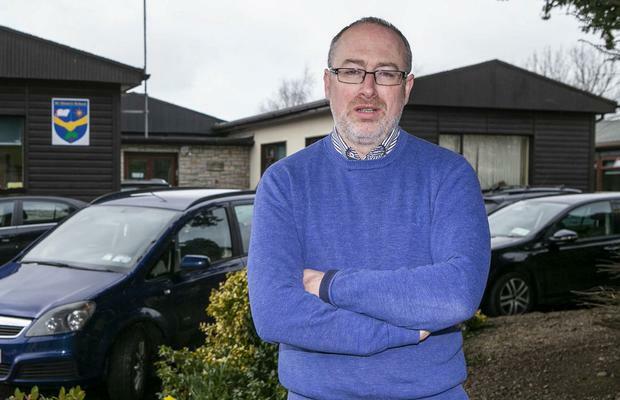 He still lives in Co Armagh and his daily commute from Mullaghbawn sees him and three other teachers car-pool for their journey to work, a 40-minute drive away. But the spectre of a hard Border, or anything that would impede their daily trips, is a serious concern for Mr O'Brien and many like him. "I remember the bad old days of road closures," he said. For Mr O'Brien, a father of two, the uncertainty over Brexit has been going on too long. "We don't know at this stage if our car insurance will even be valid. What about health insurance and what will our pension provision look like when we retire?" he added. He said that while technology has been put forward as a solution to allow for the free movement of vehicles, if Border checks do return, he doesn't know of any technical implement that will allow for this. Representatives from the INTO, the union representing primary school teachers, north and south, were in Brussels recently to convey teachers' concerns. Spokesman David Geary said issues include pension entitlements, health insurance and qualifications recognition, as well as currency fluctuations. The Irish Government has been explicit there will not be a Border in any shape or form, but Mr Geary says teachers are worried about the knock-on effects of travel delays.